A concerned grandmother called. She was having the entire family over for a reunion pool party. Children and grandchildren flew in from around the world. 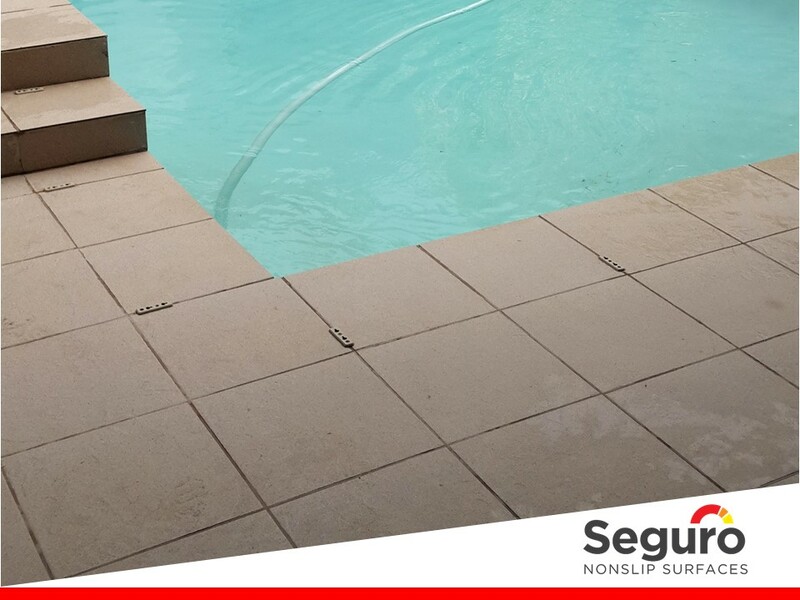 She wanted to make sure everyone was safe walking over wet tiles around the outdoor pool and entertainment area. 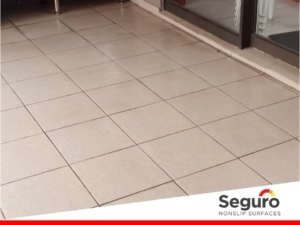 Seguro saved the day by treating the entire area with our anti-slip coating, adding sufficient slip-resistance to make the area safe for adults and children to enjoy the space. Our anti-slip coating carries a 3 year guarantee provided no abrasive or wax-based cleaners are used on the area. We recommend using our special cleaner to deep clean and maintain the slip-resistance of the coating.